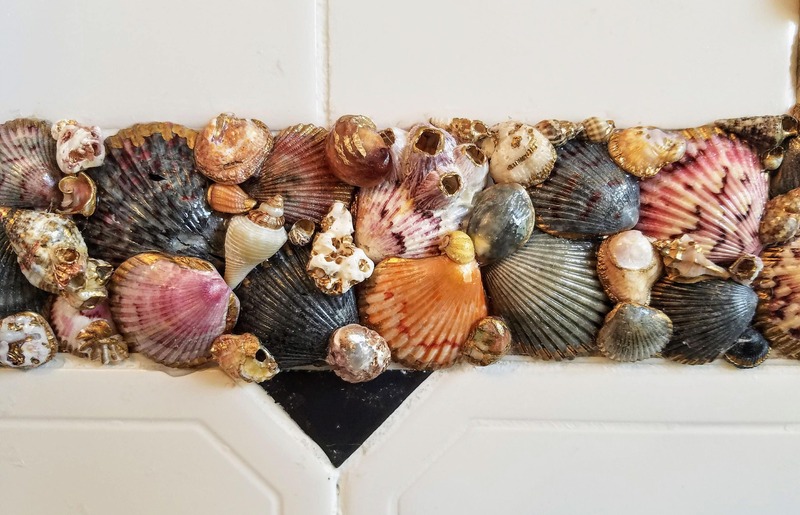 Seashellabration is introducing Uncommonly esquisite, seashell design borders for home interiors including bathrooms, kitchens and more. The design featured in this listing, uses a 3 step, 3 dimensional process that parallels my signature, seashell design artistry. All of the seashells have been detailed in genuine gold leaf and finished with a waterproof sealant. Perfect for a more formal, elegant finish. Please check back often as a wide variety of styles will be added soon. Each design will have a separate listing and priced per section based on the complexity of the design. A design consultation is required prior to final quote and can be customized to a variety of design decors; from easy, breezy Beach House style, classic Key West, to British West Indies and more. I will work closely with your custom builder, interior designer with keen focus on your specific, unique style. I use locally sourced, ecologically sustainable seashells from my private, barrier island beach collection. Please contact me in advance of a design consultation to determine if the location of your project is feasible for consideration. This determination is based on projects currently underway as well as other, demographic variables. I am located midway between Sarasota to the north and Naples to the south. Currently, I am bidding custom design projects located on the barrier islands of Southwest Florida including Manasota Key, Palm Island, Little Gasparilla Island, Placida and Boca Grande. PLEASE NOTE: PRICING IS BASED ON LINEAR SECTION. 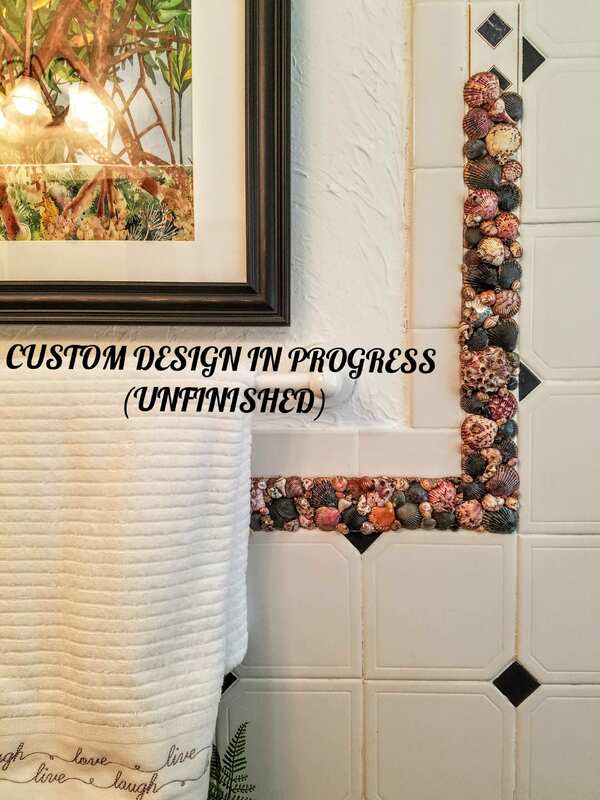 CUSTOM SEASHELL DESIGNS START AT $99 PER SECTION.